A week of stories about what we squander, discard, and fritter away: Welcome to the Wastelands. In “The Metabolism of Cities,” the celebrated sanitary engineer Abel Wolman describes urban areas as living organisms: They guzzle water, energy, and resources and then excrete sewage, garbage, and air pollution. By Wolman’s calculations, each dweller of a hypothetical city of 1 million would be directly or indirectly responsible for 120 gallons of sewage and four pounds of refuse every day. That all this is happening in Abel Wolman’s hometown—indeed, blocks from the university where he taught for several decades during a 75-year career—would probably vex the father of modern sanitary engineering. Wolman devised of a reliable means of water chlorination that conquered typhoid and saved untold millions of lives worldwide. He also helped design and run Baltimore’s water system during the 1930s, when it was the envy of the East Coast, if not beyond. Baltimore lacked proper sewers at all until the early 20th century; after the Great Baltimore Fire of 1904 reduced much of the downtown to ashes, the city embarked on a some far-sighted Progressive-era efforts to update itself, widening streets, burying electrical wires, and beginning the process of building a comprehensive water treatment system—“the finest sanitary Sewerage system in the world,” boasted The Baltimore Book, a early 20th century municipal accounting of its post-fire progress. 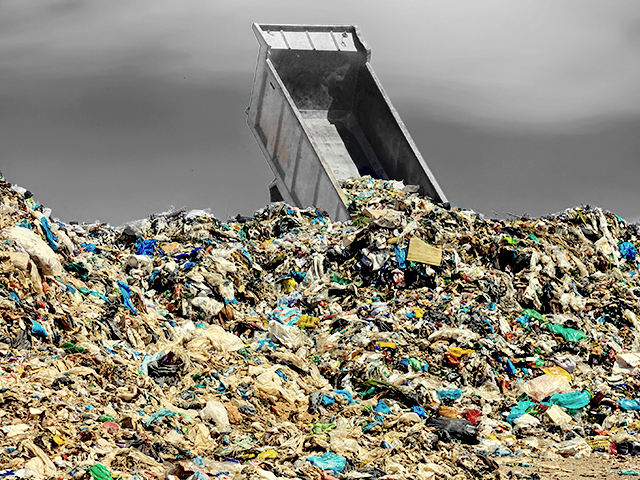 In those days, decent urban waste disposal was framed in heroic terms—as well it should be. For most of human history, the city has been a filthy place, and, boy, it doesn’t take much to get that way again. This week, CityLab will be visiting the urban wastelands, from the landfills of New York City to the open sewers of Phnom Penh. We’ll look at the things we leave behind—wasted food, wasted taxpayer dollars, wasted lives, wasted time. And we’ll show how wastelands of all kinds can be reborn. It won’t always be pretty, so dress appropriately. And pack light: We will leave no trace.